2. 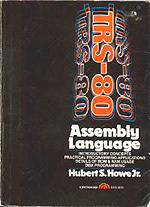 TRS-80 Assembly Language by Hubert. S. Howe Jr. The first three books above were invaluable tutorials, giving me skills I still appreciate to this day. The latter three were well-thumbed through and often used, so I've included them here also. 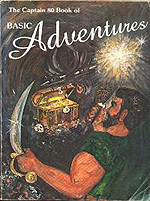 This was the first book I bought after my shiny new System-80. I found that the author had assumed I'd read the Tandy TRS-80 Level 1 manual (which he'd also written) so I borrowed one from my wife (who used a TRS-80 at work) and read it first! I loved this book. It was easy and fun to read, and showed me that programming could be simple and rewarding. 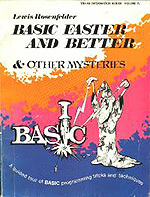 It was my first introduction to BASIC and I was amazed how powerful it seemed, on such a small machine too!. Not surprising I guess, as my previous exposure to computer languages had been in a 100-level University computer course where we wrote simple FORTRAN code on punch cards with a paper clip! 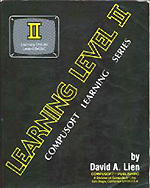 Some people have criticized David Lien's books as being condescending. While today they might seem so, at the time when computers were new and very un-intuitive, I felt they were excellent. No, I never did completely understand the mysteries of the Z80 and assembly code but this book took me a long way! The fact that the System 80 had minor incompatibilities with the TRS-80, forced us to learn to use a machine language monitor or an editor/assembler so we could patch machine language programs to get them to work properly. (or at least understand what the patch was doing.). Clearly written and understandable. Ahh, the hidden mysteries of BASIC! This book was quite a revelation. The things you could do with PEEKS and POKES. Never would I have to twiddle my thumbs waiting for a slow BASIC sort or for the SET command to chug through drawing a line again. A very informative book. After using it, plain BASIC was somehow just not the same! I loved adventure games. I bought this book with the intention of typing some in. I never did, but I was such as fan of these games I just had to include this book on this site. 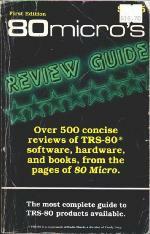 As the cover says, 500 reviews of TRS-80 software, hardware and books. I used to drool over this wishing I could afford the nifty programs and hardware listed *sigh*. Not really a book, but a loose-leaf software catalogue from a New Zealand firm specialising in the importation and distribution of TRS-80/System80/Video Genie software. Descriptions of the programs were very comprehensive...more like reviews. 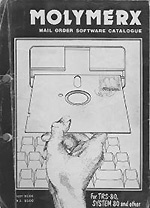 Software outlets were not common for the TRS-80 and System 80 in New Zealand, especially in later years and the Molymerx catalogue filled the gap. They also distributed software in Australia through Micro-80. You can download a catalogue (33 MB) and/or click here to read an interview with its founder.